ARLINGTON, VA; APRIL 23, 2014 – PBS, in conjunction with Windfall Films, announced today the broadcast of D-DAY 360 as part of a special month of programming on PBS honoring the 70th anniversary of the historic event. The program, airing Tuesday, May 27, 2014, 9:00-10:00 p.m. ET, with an encore Monday, June 2, 2014, 9:00-10:00 p.m. ET, re-creates the landscape and uses fresh new data-driven and statistical tools to tell the story of one of the greatest invasions in history. Produced by Glenn Swift and directed by Ian Duncan for Windfall Films, D-DAY 360 is part of a series of new and encore programs airing on PBS this spring that will focus on unique aspects of World War II. Also airing as part of this PBS special lineup is NAZI MEGA WEAPONS, a three-part series that uncovers the engineering secrets of iconic megastructures, on Wednesdays, April 30-May 14, from10:00-11:00 p.m. ET. Then, NOVA premieres “Escape From Nazi Alcatraz,” May 14, 9:00-10:00 p.m. ET and rebroadcasts “Bombing Hitler’s Dams” on May 21, 9:00-11:00 p.m. ET. On May 20, at 9:00 p.m. ET, PBS will premiere ESCAPE FROM A NAZI CAMP, which explores the most successful prison revolt of the war. To conclude, NOVA will premiere “D-Day’s Sunken Secrets” on May 28, 9:00-11:00pm ET. On May 25, PBS will air NATIONAL MEMORIAL DAY CONCERT, which includes a D-Day tribute, at 8:00-9:30 pm ET, with an immediate encore from 9:30-11:00 pm ET. 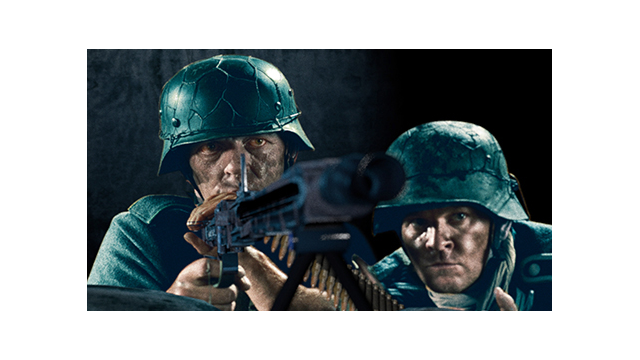 D-DAY 360 will be available for pre-order on shop.pbs.org starting Tuesday, May 27, 2014.